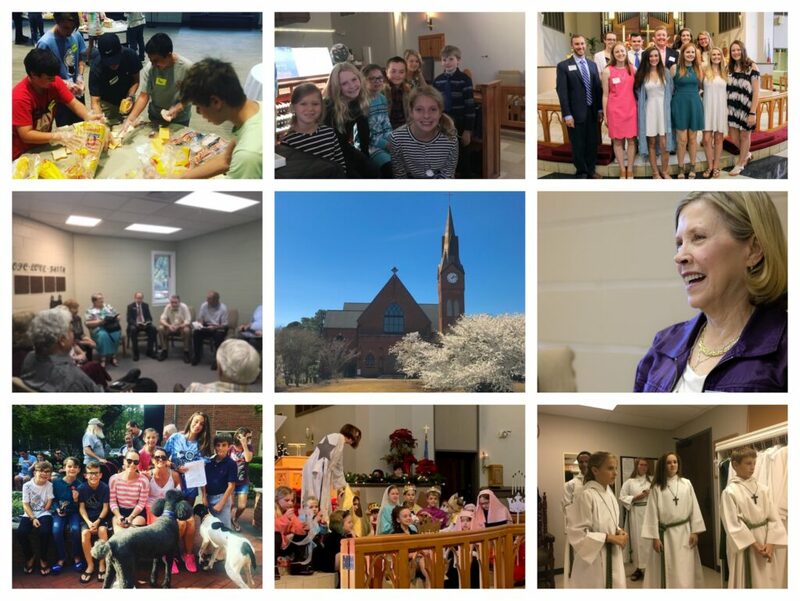 St. Peter & St. Paul grows disciples of Jesus Christ in folks from birth to age 99 and everyone in between. We like to integrate all ages in ministry as much as possible. But we also recognize that each age group and demographic also has unique needs. 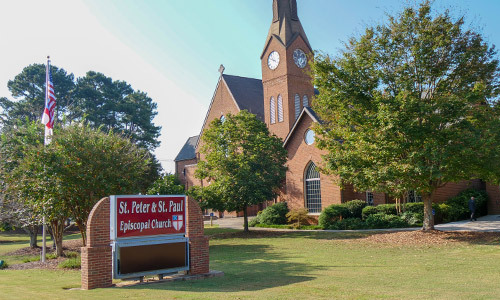 Cobb County is filled with families, and St. Peter & St. Paul reflects our neighborhood. Our primary support for families comes in Children’s Ministry (infants through grade 5) and Youth Ministry (grades 6-12, and college age). Kids are also active in Acolytes, Children’s Choir, Youth Choir, and Scouting. Our Adult Christian Formation programs also address family issues in particular in their programs. Click the links above to learn more about these programs. MUST Summer lunches, June 2019, making lunches for needy kids in Cobb County. Family Promise, February 17-23, May 5-11, September 22-28, November 24-30 hosting homeless families in the church with meals and hospitality. Join John and Sara Clark in the studying the book “Boundaries with Kids” by Dr. Henry Cloud and Dr. John Townsend. It’s all about teaching our children to take responsibility for their own actions, attitudes, and emotions and is rooted in Biblical wisdom. We are also creating great friendships and helping each other through this crazy and amazing times in our lives. Join Mike and Kim Nancarrow in helping parents of teens not just survive but THRIVE on God’s grace and encouragement from others. Support, fellowship and spiritual growth. Click Here for more information. Who is the Holy Spirit? How does he change our lives? How does he work in the world? Please join our Sunday Morning Women’s Bible Study group as we start our new study on the Holy Spirit. You will see that the Spirit of God is eager to work in your life to draw you closer to God. For questions, please contact JoAnn at tjgotschall@comcast.net or Eileen at egmittle@att.net. Supporting the Caregiver, Monthly, 2nd Thursday, 12:00 – 1:00 PM, Downstairs, Room 1. For many, family means the sandwich generation, caring for younger or older family members at home. This lunchtime support and discussion group helps those caring for loved ones. Facilitated by The Rev. Elisa Harres. For more information, Contact Elisa Harres at eharres@peterandpaul.org.